Don’t come to Monterey and find yourself spending $100/night at a local motel while you search for housing! You can go poor very fast that way! Instead, let us help! We can arrange for someone to meet you at the Monterey Airport or local shuttle bus stop that comes from the San Francisco Airport. We will show you around, help you find what you need, and then provide you with free temporary housing for three to four nights in a local home with people who care! 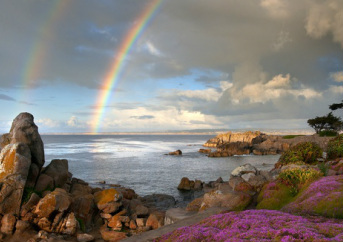 What better way is there to begin your stay in Monterey? While we cannot promise this, we will give it our very best effort. A lot depends upon supply & demand – simple economics – and sometimes it seems everyone wants to arrive at the same time! Rentals can be hard to find, especially the last two weeks in August. The sooner you can get here the easier and cheaper it will be for you. Let us know your arrival plans as early as you can.